Sheridan, Colo.—If you blink, you might miss him. “Hustle” is the operative word at A-Affordable Transmission Center in Sheridan, says Randal Paul, vice president, and it’s how work gets in and out the door. Different transmission warranties and repair types to fit your need. A free transmission inspection including a road test, preliminary testing and electronic scan. Written transmission repair estimates are provided, so you can decide what to do. No work will be done unless you agree and fully understand the process. Extreme Transparency, no hidden anything. All work is done on site at our repair centers. 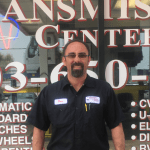 We don’t just advertise that we are a transmission experts. This is a real transmission shop and have been since 1979. WE REPAIR AND REBUILD TRANSMISSIONS FOR MUCH LESS THAN OUR COMPETITION. Transmissions are complex. 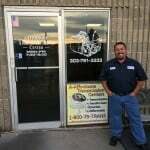 A transmission repair shop is the right choice, sometimes the best option is not right around the corner. A-Affordable Transmissions Center is formerly known as Affordable Automatic and Standard Transmission and was founded by Charles Turner. The current owner, Ron Shaw took over in June of 2000 and changed the name to A-Affordable Transmissions Center. We have repaired and rebuilt over 20,000 transmissions “IN HOUSE” since then. Early and late model automatic & manual transmission rebuilding is our speciality. We also rebuild transfer cases and differentials. In addition we install clutches. 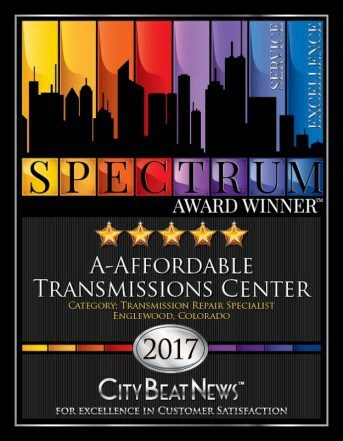 A-AffordableTransmissions Center has two locations to serve the Denver Metro Area. Fast, honest and reliable are just some of what you can expect from us when you visit. We will do what it takes to earn your business. Thank you in advance for considering us. All modern cars are now made with computerized transmissions. Of course, nothing is full proof. As sophisticated as these modern transmissions can be, errors can make those gearshifts considerably less smooth. The check engine light is often one of the first telltale signs that your car is having trouble. You might also notice some strange sounds or vibrations when something goes awry with your vehicle’s transmission. In other situations, your transmission might shift gears in unpredictable ways, resulting in uneven speeds and inconsistencies while driving. Your car may sound like it’s trying to go 100 miles per hour when it’s only traveling at 50, this is known as a transmission slipping in most cases. Additionally, there might be a few seconds delay when you shift from park to drive. While some of these problems might seem negligible in the moment, ignoring such issues could make the situation worse, decreasing the life of your transmission over time and increasing the costs to repair. Proudly serving the Denver Metro Area. Select a location and give us a call, we are here to answer your questions….